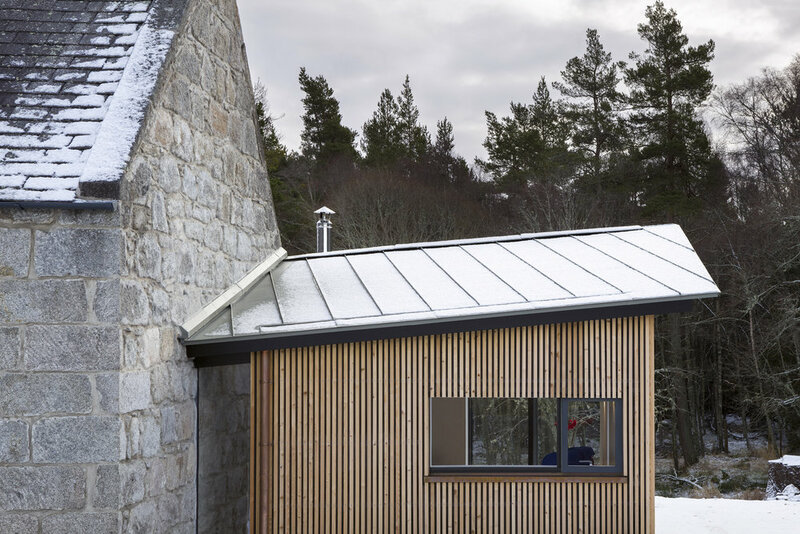 A project to revitalise a tired and neglected Victorian cottage in the Cairngorm National Park. 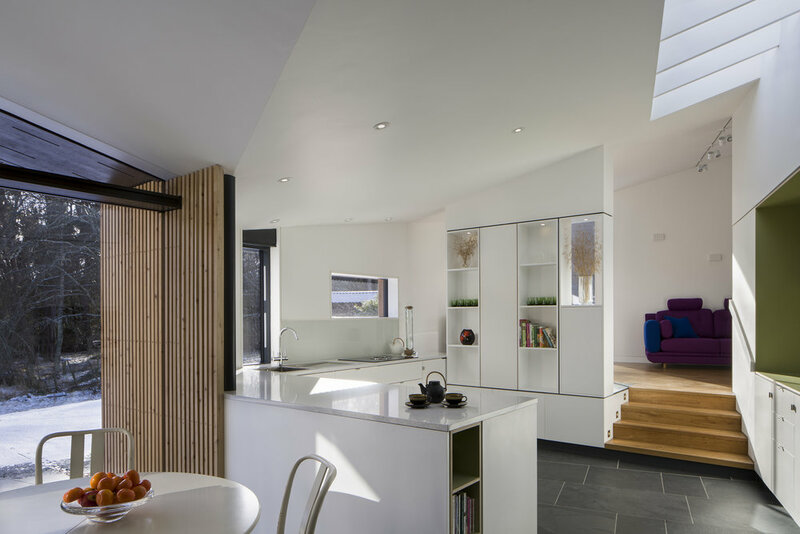 Views across the garden to woodland in the south-east had previously been entirely obscured by an existing two-storey extension. 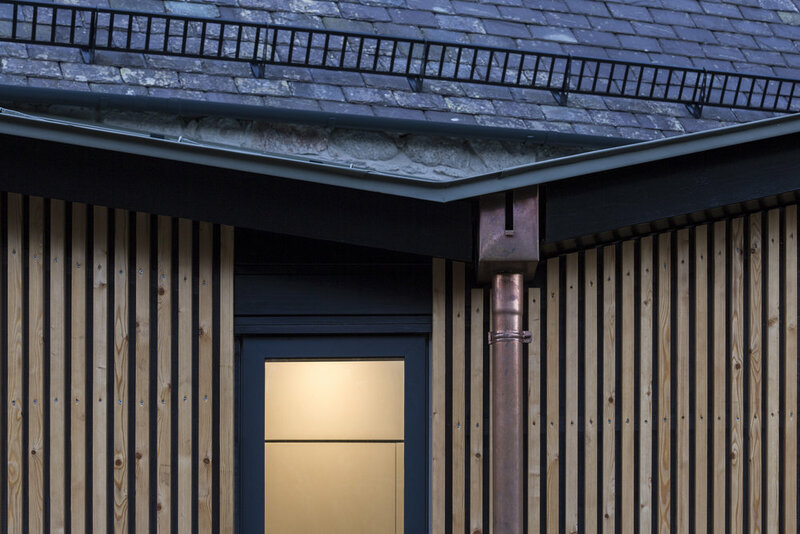 We proposed the demolition of this obstructive and impractical building wing, to replace it with a new extension containing living, kitchen and dining spaces which had previously been buried in the dark centre of the existing building. 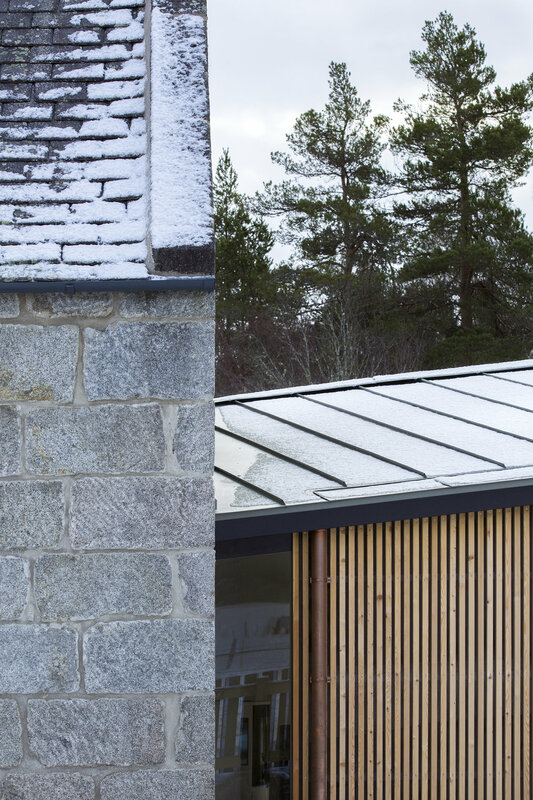 An origami-like zinc roof, pitched and folded in multiple directions, wraps itself around the corner of the existing cottage cable, rising and falling to mirror level changes and help differentiate internal spaces. The wider project includes the replacement of a dilapidated shed with a new garage and workshop building. The project was completed in October 2017. 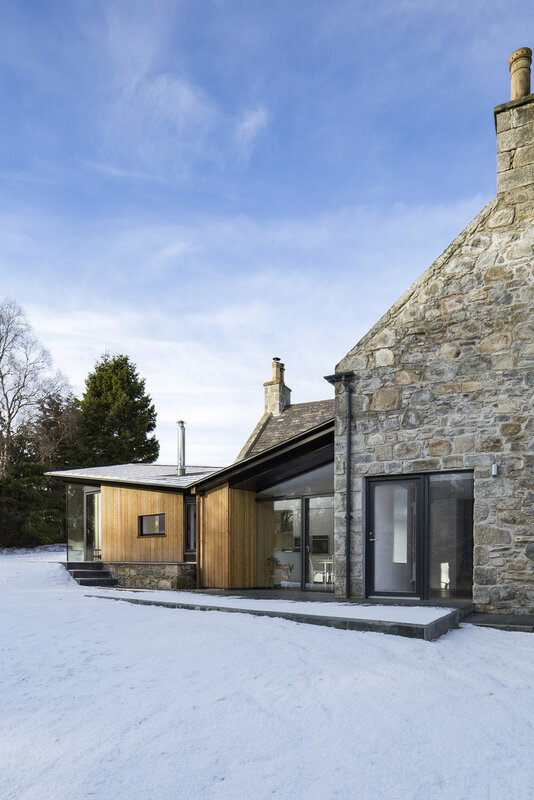 Contractor : Colin Lawson Builders Ltd. 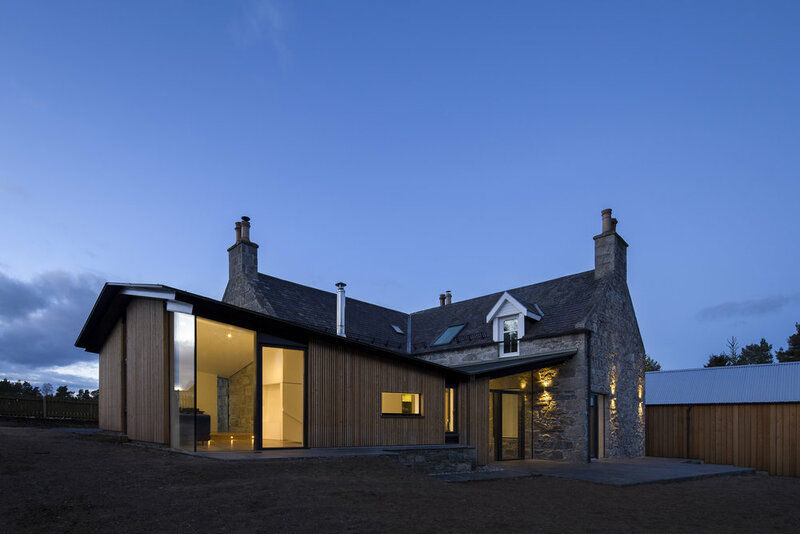 Quantity Surveyors : McLeod & Aitken Edinburgh Ltd.